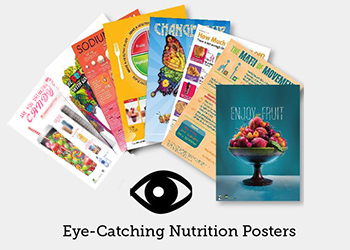 Have you seen our new Healthy Kitchen poster? Check out the picture above or visit it in our store. We're so excited about it, that we have decided to share all of our top kitchen makeover tips in one handy-dandy blog post. After all, it's officially Spring, which makes it the perfect time for SPRING CLEANING. Try these tips to clean up your kitchen and make it more efficient than ever. The quiz below will help you determine whether your kitchen needs a makeover. Simply read through each question and answer either "true" or "false." Keep track of your responses as you go. I have enough food in the kitchen right now to make meals for the next 2 days. My knives are sharp enough to cut a tomato and big enough to cut a melon. I have a big, clean cutting board that doesn’t slip. I have enough room on the counter right now to make dinner without shuffling things. My freezer is full of foods that can play a role in healthful meals. Is your kitchen ready for a makeover? 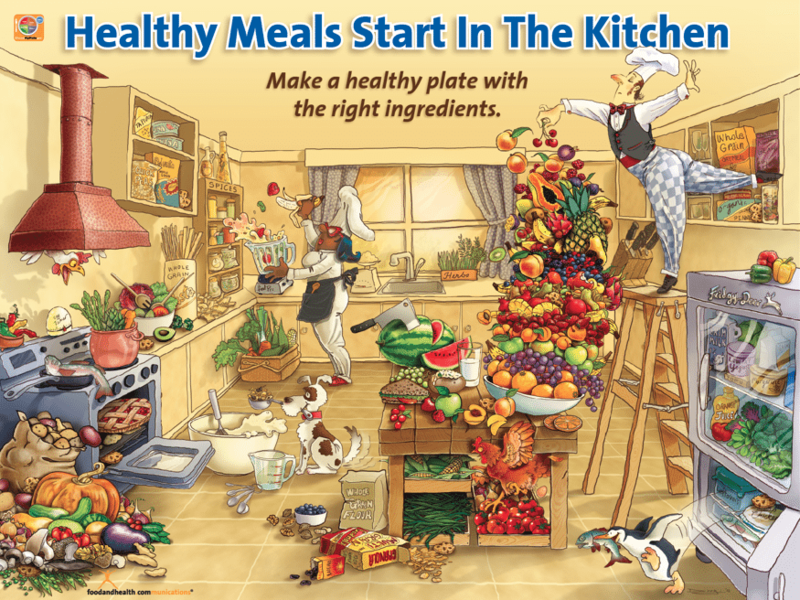 These tips will make it easier for you to prepare healthful, quick, and delicious meals at home. FOOD. It is vital to have the right kinds of food on hand. That way, you can cook/eat on the go instead of having to drag yourself through the grocery store first. Stock up on fresh fruits and vegetables, and keep some frozen or canned options on hand too. That way you can have fruits and veggies in your meals without worrying about short shelf lives. If you do stock up on canned or frozen options, make sure they have little to no added sugar or sodium. It's also vital to keep healthful whole grains (like brown rice and 100% whole wheat bread) available too. TOOLS. A nonstick skillet, a microwave, and a toaster oven are three things can really make a difference to the speed and ease of home-cooked meals. A nonstick skillet is a great tool that you can use to prepare most of the meals you make. A microwave is essential for vegetables that are cooked quickly in little water. Cooking veggies in a bit of water in the microwave is a great way to preserve your patience, as well as the color and ?avor of the food. Microwaves offer a simple way to reheat food as well. The toaster oven is great for browning, broiling, and baking quickly. WORK. How are you going to get anything done if you don't have room to work? Clear off the counters and make sure that you have room for the three key areas of your kitchen: preparing, cooking, and cleaning. These areas can overlap a little, but it is easier to cook and clean up quickly if they are totally separate. SLICE. How can you cut anything if you don't have a good cutting board and knife? For a straightforward kitchen that facilitates healthful cooking, you need a few sharp knives and a good, non-stick cutting board. Serrated knives are cheap and they never go dull. Better still are the plastic ones you can put in the dishwasher. Cutting boards are now available with nonstick corners and they also come in plastic versions that are dishwasher-safe. FUN - If you have plates, cups and serving pieces that look good and and are fun to use, you just might be tempted to cook more often. Now that you've made over your kitchen, it's time to stock it with healthful ingredients. In this section, we explore fantastic ingredients that you should keep on hand at all times. 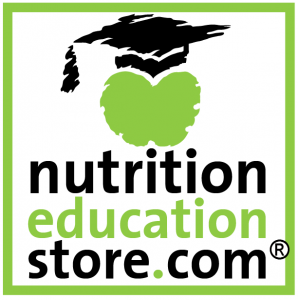 These items are often inexpensive, yet nutrient-rich. How many of these foods do you already have? Which do you need to buy? Great Grains. You'd be surprised at how filling and healthful a plateful of grains and vegetables can be. Use a small amount of protein to add flavor, rather than a large amount as the central focus of the dish. Grains offer a lot of B vitamins, minerals, and fiber, all for a relatively low price. Try store brand, whole grain pasta, store brand brown rice, oatmeal, and low-fat popcorn. Bountiful Beans. Beans are an inexpensive way to add protein, iron and fiber to any dish. Try canned beans, dried lentils, dried beans, and frozen beans. Lean Poultry. Choose white meat poultry without any skin. This can make a great addition to stir-frys and grilled poultry can also top a large garden salad. 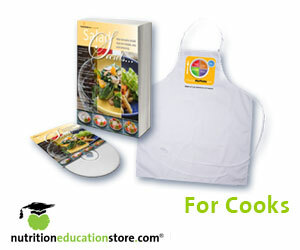 Try chicken tenders, chicken breasts, extra lean ground turkey, or a whole chicken. Frozen or canned fish. Fish is a nutritious, flavorful addition to pasta or rice dishes. It's also great on its own, in sandwiches, or atop salads. You can buy fish fresh from a fish market or grocer, but there are also alternatives that keep for a longer period of time. Small cans of fish are a great option -- they even provide portion control. Just be sure to choose fish that is canned in water, not oil or salt. You can also find fish in the freezer section of your grocery store. Select options that aren't breaded and add your own seasonings (instead of sauce packets etc) to keep fat and sodium content low. Seasonal fresh vegetables and fruit. These foods are both economical and better tasting. Plan your meals around what is ripe, flavorful, and colorful. 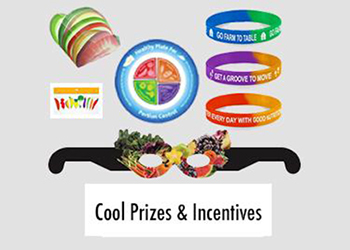 Remember, MyPlate advises people to fill half their plates with fruits and veggies at each meal. Heads of lettuce, carrots, cabbage, bags of apples, zucchini, corn, and melons all make excellent choices (when they are in season, of course). Frozen vegetables. Frozen vegetables are a shelf-stable product that needs little preparation. You can even find special deals on store brands. Once again, be sure to skip sauce packets and choose options that are low in fat and sodium. Low-calorie, high-calcium dairy choices. 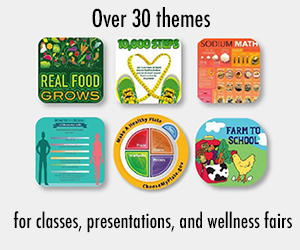 MyPlate recommends that people choose low-fat and fat-free dairy products when possible. Skim milk, light low-fat yogurt, and nonfat ricotta are all some of the best low-fat, low-sodium sources of calcium. Brewed tea. Brew your own tea to cash in on a beverage that is low in cost and chock-full of nature’s healthful antioxidants. Brewed tea is an excellent and low-priced alternative to soda and other sugar-laden beverages. Choose store brands and stock up on special offers. Potatoes. Baking potatoes, especially when purchased in bulk (choose the smaller ones) make great meals and snacks. Potatoes are among the highest satiety foods, which means that they make you feel full for a longer period of time than most other foods. You may think we're done with lists of tips, but we're only just getting started! Once you've mastered the five tips below, you can make additional changes to your kitchen. These changes will make it even easier to make meals at home with no fuss, no muss. Clean and organize your freezer. This sounds like something your mother would say, but whenever I visit friends I always notice that their freezer is full of things they will never eat. If you are going to start cooking ahead, you need to make room for what you create. Try to clean your freezer once a month. Purchase clear, freezable, microwave-safe containers and bag. Keep them on hand for storing your food. Make large batches of your favorite recipes whenever you cook. Freeze leftovers in small portions that fit your family’s needs. It is a good idea to label and date things too. We freeze peanut butter & jelly sandwiches, cooked beans, cooked rice, lasagna, spaghetti, pasta, soups, rice, healthy macaroni & cheese and stir-fry dishes. Not all foods will freeze successfully, so you may want to experiment. Remember, you don’t have to have a cooking marathon and make all of these in one day, and you don’t have to cook to freeze. Simply cook in order to prepare a meal, then freeze the extras.This is a work in progress. Cool quickly and efficiently. Soups, beans and other large dishes should be cooled in a shallow container in the refrigerator or in ice water right away. This will help you avoid increasing the risk of food-borne illness. For example, when I make lasagna, I chill it overnight in the refrigerator and cut it into squares before wrapping and freezing each square. Reheat items quickly in the microwave. Usually you just need to add a little water and cover items with a lid or plastic wrap. Items in plastic bags should be transferred to a microwaveable container before reheating. Whew, that was a lot to take in! Are you still looking for more? Well, look no further -- we've got you covered. 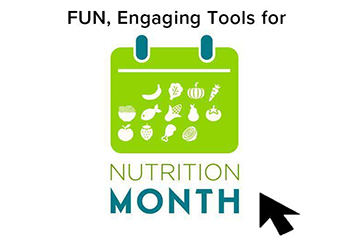 Check out some of these links to learn about more ways to make your kitchen a fun and healthful place. This article was written, assembled, and presented by Judy Doherty, Alice Henneman MS, RD, and Stephanie Ronco.